Investments can be a great way to grow your hard-earned money over time. For many people, the idea of investing is both exciting and daunting. 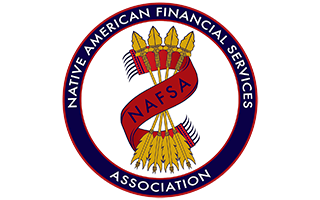 In this post, the Native American Financial Services Association (NAFSA) will explore a few basic investment concepts and strategies, as well as the personal factors to consider when making the decision to invest. For a more in-depth look at investment options, check out the investment module in NAFSA’s free Financial Literacy Program. Two important factors to consider before investing are your personal investment goals and risk tolerance. Each of the three investment strategies below have risks and rewards to consider before moving your money. While risk can vary with investment type, it’s important to note that any investment involves a certain level of risk. You are never guaranteed a positive return on your investment, which is why it’s important to consider your risk tolerance and investment goals, as mentioned earlier. Through the Financial Literacy Program, NAFSA provides financial literacy modules and tools with easy-to-understand information to help people better comprehend their finances and make more informed decisions.